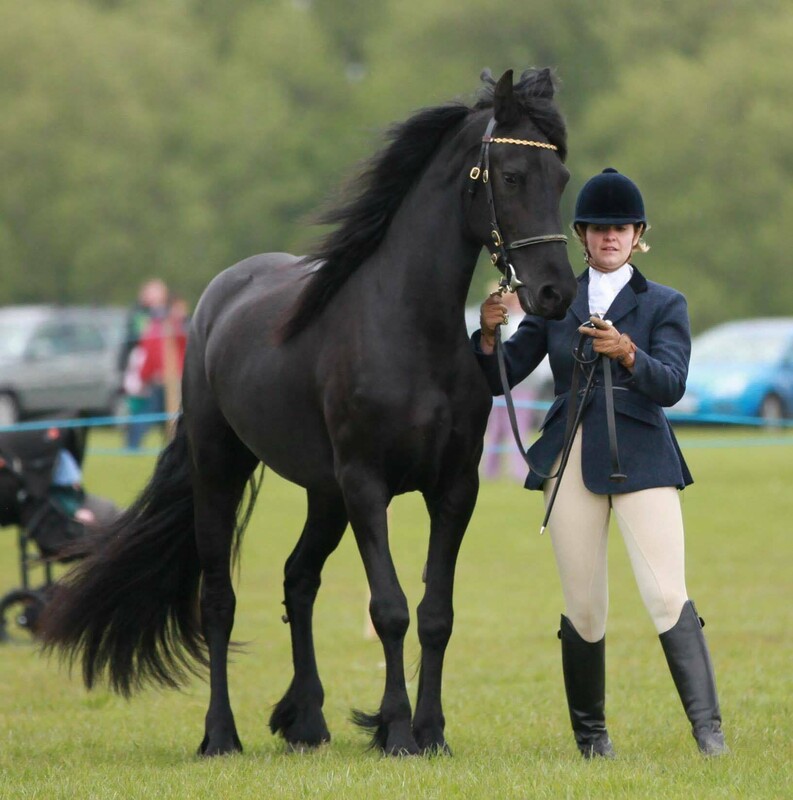 FHAGBI committee members have worked hard in recent years to encourage show organisers to put on classes suitable for KFPS Registered Friesian horses. 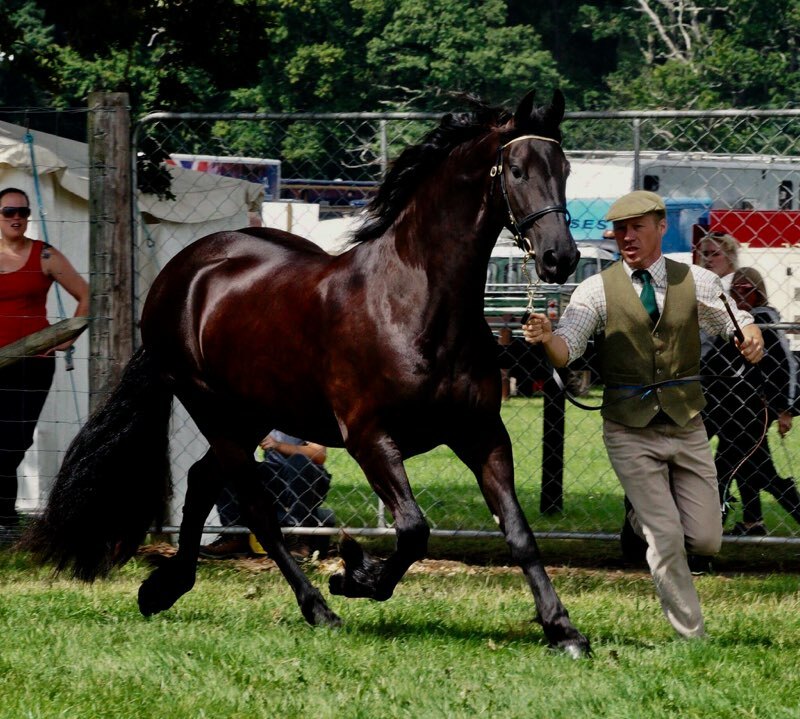 An exciting development in 2012 was the first ever official Friesian 'Showing Show' which was held in August as part of the Festival of Champions show at the Yorkshire Showground. There was also the first Friesian classes at a County show, the Royal Berkshire. The Royal Berkshire will continue to offer classes to Registered Friesians. It has taken some time but there are more opportunities to show off your beauties than ever before. The Rules set out in this book apply to all Members of The Friesian Horse Association of Great Britain & Ireland Ltd. (FHAGBI) including those who own horses registered with the Association. In particular, the Rules are made so that Members may compete fairly against each other in Friesian classes. The Directors of FHAGBI have the power to discipline members in shows run by or affiliated to FHAGBI in the event of failure to observe any provisions of the Rules and any other regulations. Every member of FHAGBI, by becoming a member, agrees to be bound by all rules and regulations of the Association of FHAGBI. Members are responsible for the actions of any non-members employed by them or assisting or representing them or otherwise acting on their behalf and any action or conduct of such non-member which would be a breach of the Rules were he/she a member shall constitute a breach of the Rules by the Member responsible for him/her. 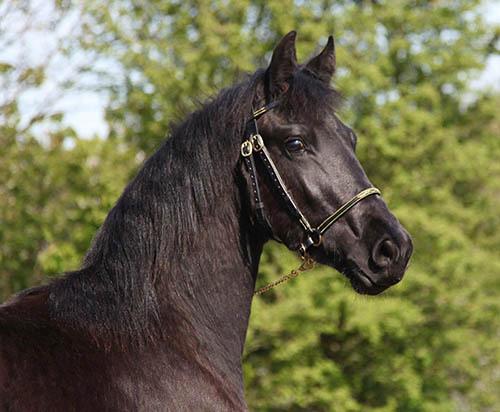 All horses exhibited in Friesian Horse classes run in accordance with these Rules must be duly registered with The KFPS unless the show rules state otherwise. Owners, Riders and Producers of horses competing in specified Friesian classes run in accordance with these Rules must be Members of the Association. Members of FHAGBI, whether acting as officials or Judges of the Society or otherwise, must not act in any way derogatory to the character and reputation of FHAGBI or prejudicial to the interests of the Association. No exhibitor may enter and show a horse under a Judge whom they know, or should have known, to have bred, sold, produced or received financial gain from that horse. At no time should an exhibitor attempt to influence a judge by offering any information regarding their exhibit. It is the responsibility of exhibitors to ensure that both the information given on show entry forms is accurate and that horses compete in the correct class. Horses registered with The KFPS must be shown with their registered name, age and description, a change of horses name is not allowed. The person in whose name the horse is entered at an affiliated show will be held responsible for abiding by the both these General Rules and Regulations of the Show. All ages date from 1st January, e.g. a foal becomes a yearling on the first day of January following the date of its birth. The Association discourages the showing of overweight horses and Judges will take this into consideration when making their awards. The Rules & Regulation will be updated periodically and new updates will be available on the FHAGBI website. Accept no liability in respect of damage to a horse or its exhibitor or other person responsible for it at or en route to a show or other event held by the Association. Accept no liability in respect of damage arising from a horse at or en route to a show or other event held by the Association. Accept no liability for financial loss for their decisions at, or in respect of, a show or other event held by the Association. Owners and those otherwise responsible for horses must ensure that they, and those in any way involved with their horses. Are aware of these General Rules and, in particular, the Association's exclusion of liability above. Have adequate third party insurance cover. Participate at their own risk. Once a judge has commenced judging a class, a horse or rider may not leave the ring without the permission of the Judge and Ring Steward, nor shall there be any change of rider or leader, except in a Championship Class, when a competitor finds he/she has more than one exhibit eligible to compete. In the event of a judge being injured from a horse it is at that judges discretion as to whether they feel fit to continue judging. In the event of the judge not being fit to continue riding, a replacement judge may be found. Competitors will not be allowed to enter the ring after the horses have commenced trotting as a class. In ridden classes horses will enter the ring as a class and be seen in walk, trot and canter before being called in and asked to do an individual show. The Judge will NOT ride the horse but horses may be stripped of their saddles for judges to see the conformation. Racial Type: A jet-black colour with no white markings (only a small star is permitted), a noble head with small attentive ears. Slightly inclining towards one another, a vertical swan neck, a luxurious long flowing mane and tail, and a proud bearing. Frame: Harmoniously built and well proportioned. A strong back joining a croup of good length, which should not slope too much. A sloping shoulder and good depth of girth with well sprung ribs. An uphill built horse with an ideal height at the withers of 160 cm at 3 years old. There is no upper height limit. Legs and Feet: Strong, clean, correct legs and feet with a well developed forearm. Walk: Straight, with sufficient length and power, elegant and smooth. Trot: Characterised by a high knee action, powerful, long, balanced and supple. Friesian Horses to be judged 50% conformation and breed characteristics and 50% ride, manners and presentation in ring. When judging ridden classes, judges should expect to see a Friesian walk, trot, canter and sometimes extend. In the ridden show it should be remembered the Friesian has its own way of going. An active, ground-covering walk is required and a good suspension in the trot. The latter is generally regarded as the Friesian horses "true" pace and as such should demonstrate good hock action. At the canter, whilst many Friesian horses are well balanced and collected, they should not be heavier on the forehand than some lighter breeds. Judges must not handle or attempt to pick up the feet of a Friesian whilst it is mounted. If, in the opinion of the Judge, a horse is unsound, the exhibitor shall be given the option of withdrawing the horse from the class, or being placed at the bottom of the line. If this option is not accepted a Veterinary Surgeon may be called but if not immediately available, then the Judge's decision is final. In the event of a fall of either horse or rider in any ridden class, that exhibit will be asked to retire and must not be remounted in the ring. A Judge may ask an exhibitor to remove this horse from the ring, if in his/her opinion the horse or the exhibitor is ill-mannered. If in the opinion of the judge the behaviour of a horse is deemed unacceptable, it will be reported to FHAGBI and will be reassessed at it's next show by a person appointed by the Association. For good reason - the whip must only be used either as an aid to encourage the horse forward or as a reprimand. Thus it must never be used to vent a rider's temper. Any use for such a reason is automatically excessive and therefore a breach of rules. With appropriate severity - as a reprimand only and a horse should never be hit more than three times for any one incident and if a horse is injured by a whip, e.g. if the skin is broken or there is a weal, it's use is excessive and therefore a breach of rules. The appropriate dress codes are set out below but may be varied by Affiliated Shows with the Society's permission. Tweed coat or plain blue or black coat. Plain fawn, cream or buff coloured breeches, not white. Exhibitors may wear spurs. Spurs at all times must be of smooth metal. There must be a shank, pointing only towards the rear, which must be no more than 3.5cm long and without rowels. The end must be blunt and incapable of wounding a horse. If the shank is curved, the spurs must be worn only with the shank directed downwards. Plain Malacca or leather cane/whip NO schooling/dressage whips allowed. Collared shirt and ordinary tie. Tie must be pinned down. A skull cap or hat and safety harness according to the current approved BSI or European Standard must be worn by ALL competitors, Skull caps must have a navy blue or black cover. No earrings or visible jewellery should be worn. Anyone on a horse at a Show must wear a hard hat. A skull cap or hat and safety harness according to the current approved BSI or European Standard must be worn by ALL mounted competitors. Skull caps must have a navy blue or black cover. It is strongly recommended that protective headgear should be worn. Plain brown or black gloves. Plain Malacca or leather cane/whip - NOschooling/dressage whips allowed. Men should wear a suit or coat/jacket and trousers, collar and tie. Women may wear a coat/jacket, skirt or trousers with a collar and tie. It is the responsibility of exhibitors to ensure that grooms entering the Show Ring are smartly and professionally turned out. Grooms must wear a hat when in the ring. No tack may be worn which in any way conceals an animal's conformation. No boots or bandages of any description are allowed in the ring. No rugs, clothing or item of tack that reveals the identity of a horse or owner may be worn in the show ring or promotes a sponsorship or business. NO WHITE INSPECTION/KEURING BRIDLES ALLOWED IN ANY SHOWING CLASSES. Plain black or brown leather bridles must be worn. Bitless bridles and Wilkie snafflesare not allowed. NO martingales or breastplates are allowed but neck straps are permitted. Simple Snaffle bridles must be worn as per rules for British Eventing Dressage. No Western Saddles in any classes. Plain discreet saddle shaped pad, cloth or numnah. Horses should be presented for judging in a natural state. Trimming is allowed around the face (ears, beard and small bridle strip). Guard hairs may be neatened but must be left on around the eyes and muzzle. A small white star is allowed but any other white markings are prohibited. Horses may be judged shod or unshod but the use of weighted shoes is not permitted. Horse make up is not permitted. The show rules should clearly state that the show is affiliated to FHAGBI and subject to its rules and that copies of FHAGBI'S Showing Rules can be obtained from the Association on request. A minimum of two classes, i.e. In-Hand & Ridden, should always be scheduled at Affiliated Shows, but Secretaries may use their discretion in combining classes if insufficient entries are forward on the day. Affiliated Shows are required to ensure that they have adequate insurance cover for Judges. The following General Regulation should be included in Prize Schedules and Show Catalogues: "The Organisers of Shows have taken reasonable precautions to ensure the health and safety of everyone present. For these measures to be effective, everyone must take all reasonable precautions to avoid and prevent accidents occurring and must obey the instructions of the Organisers and all the Officials and Stewards." Any objection or complaint relating to the rules of a particular Show Executive should be made to that show's Executive in accordance with the procedure set out in that show's Rules. Warning to Members, Owners and Producers of Horses Competing under the Associations Show Regulations. In common with other similar bodies, FHAGBI takes a very serious view of doping, whether intentional or unintentional. Members, owners and producers should be aware that many proprietary feeds and preparations contain Prohibited Substances, as do many foods such as chocolate. The presence in any form, in a horse being shown, of a substance, which could, by its nature, affect its performance, is forbidden. The specific rules with regard to doping are set out below and any breach thereof constitutes a breach of the General Rules. FHAGBI does not specify threshold levels for any Prohibited Substances but will have regard to those published by the F.E.I. (www.fei.org) or any subsequent regulatory board from time to time without being bound by them. Feeds and preparations are available which are guaranteed to comply with F.E.I. doping rules. Prohibited Substances can be absorbed through the skin and they are also contained in some homeopathic and herbal remedies. It is the responsibility of the person having custody of a horse, to ensure that nothing is fed, administered or applied to a horse that contains a Prohibited Substance. "Prohibited Substance" means any quantity of any substance originating externally (whether or not indigenous to the horse) which could influence the horse's performance or bearing including without limitation stimulants, depressants, tranquillizers, local anaesthetics, anti-inflammatory agents (including phenylbutazone), antihistamines, muscle relaxants, diuretics and metabolite of any such substance or masking agents and such other substance as may be declared a "Prohibited Substance" in these rules or by the F.E.I. Such other substances as may be declared a Prohibited Substance by the F.E.I. Permitted Snaffles are the ordinary/plain snaffle with a straight bar or joint in the centre. If a snaffle has two joints, all parts must be rounded and smooth. Only the bits mentioned below are permitted and they may be used with any of the cheeks or rings mentioned. Note: All bridoon bits mentioned above are permitted either as a snaffle or as part of a double bridle. A double bridle should always consist of a broken (simple or double) and a straight bit. Any of the rings or cheeks mentioned is permitted with any of the bits. 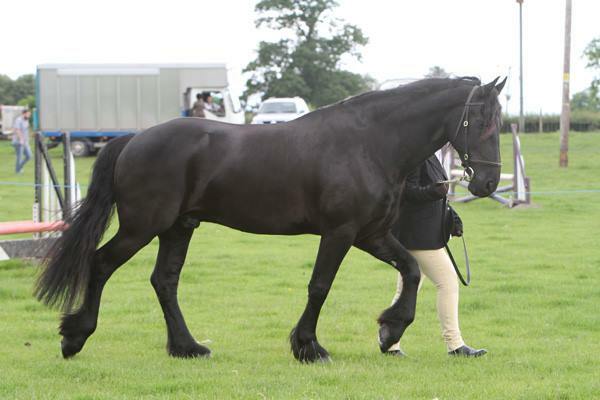 FHAGBI have a list of judges with sufficient breed expertise to allow them to judge Friesian horses. 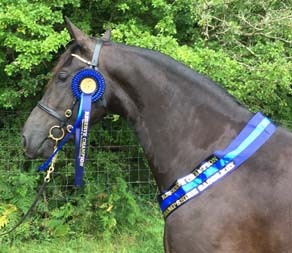 Show organisers putting on classes for Registered Friesians ONLY are invited to contact the judges directly who will also provide FHAGBI rosettes for each class they judge.